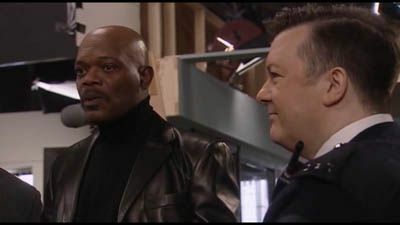 Extras is a British sitcom about extras working in television and film sets and in theatre. 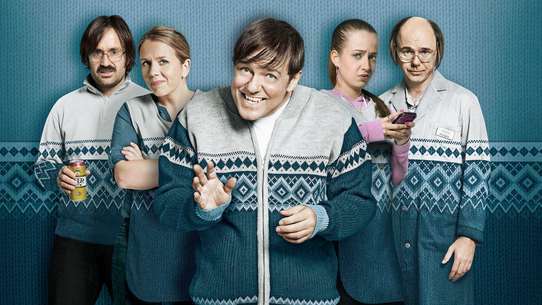 The series was co-produced by the BBC and HBO, and was created, written, and directed by Ricky Gervais and Stephen Merchant, both of whom also starred in it. Extras charts the lives of Andy Millman, his friend Maggie Jacobs and Andy's substandard agent and part-time retail employee Darren Lamb, as Millman rises to fame. 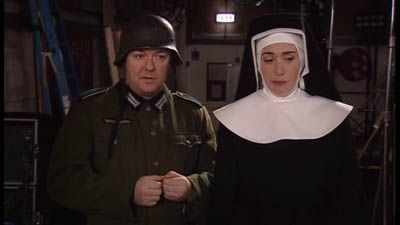 Kate Winslet hopes her role as a nun in a film about the Second World War will guarantee her an Oscar. However, her meeting with Andy and Maggie leads her into a very embarrassing situation. Andy also finds himself in an embarrassing situation when a date with a fellow extra doesn't quite turn out as expected. Andy is realising that fame is not all it is cracked up to be when his sitcom receives terrible reviews. The public provide him with encouragement when he's recognised by a homeless man and his "biggest fan" in a pub. 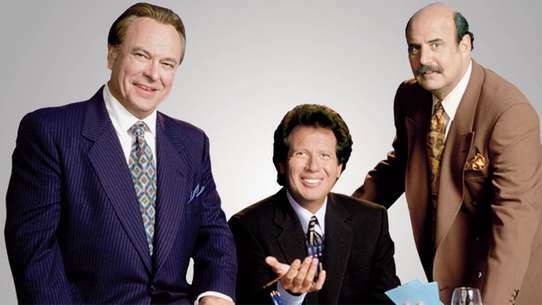 However, when Andy and his friends head to a classy bar, he discovers that even David Bowie wants to mock him, in the form of a song "the little fat man who sold his soul". Andy Millman is very excited at the prospect of his sitcom 'When the Whistle Blows', being made by the BBC. He wants it to be realistic and something the audience can relate to. However, the BBC have other ideas making Andy's character wear a wig and silly glasses. It's not long before the comedy is totally different to Andy's original idea. Meanwhile, Maggie is an extra on Orlando Blooms latest movie. Orlando is obsessed with himself and with Maggie. But she doesn't fancy him at all. Andy has a new celebrity pal, chat show host Jonathan Ross. His friendship with Maggie is under strain and he's just about had enough of his useless agent. When Andy is pressed into visiting a sick child in hospital by a pushy mum, Andy meets Robert Lindsay who is less than impressed when the child and mum fail to recall his 70's sitcom. Andy is ready to fire his agent, however is offered a chance to meet his idol, Robert De Niro. Will Andy abandon his real friends to meet his hero? 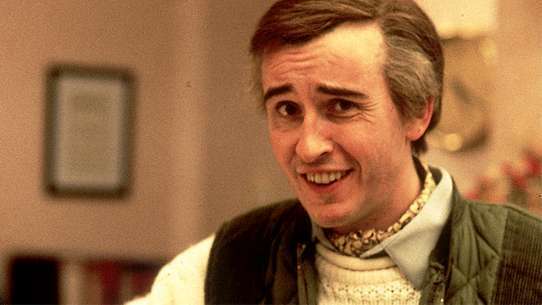 Andy has written a script for a sitcom. 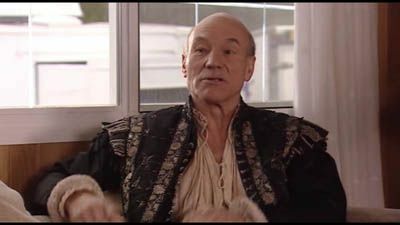 While working on a production with Patrick Stewart, he gives him the script and asks if he can help by passing it on to people in the business. 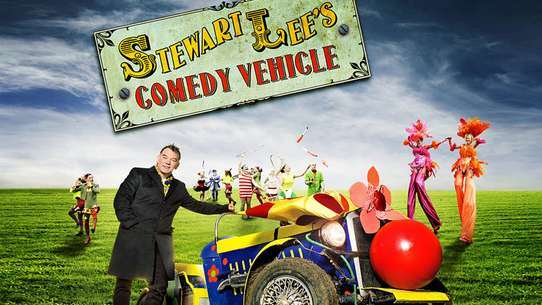 Stewart is able to "make it so". 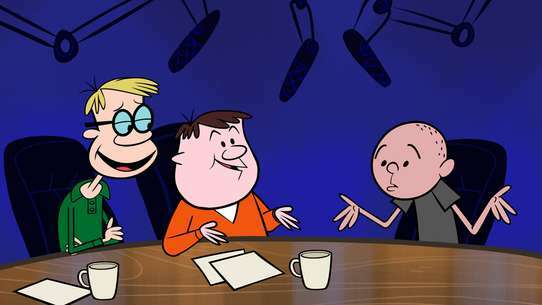 The BBC shows interest and Andy is asked to write a pilot. 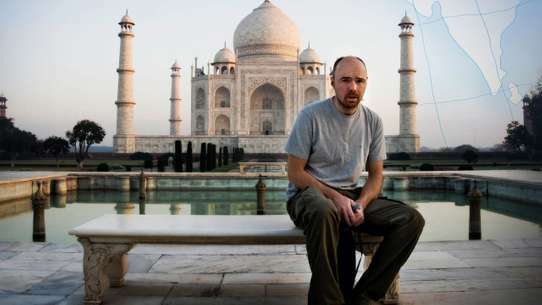 While working on the script with an editor from the BBC, who Andy finds difficult to tolerate because he is "too gay", Andy makes the mistake of mentioning this to Maggie. Andy is trying to avoid a fellow extra who is 'dull'. When the extra helps to get Andy a line of dialogue, Andy mentions he 'owes him one'. The extra suggests that they should go out for a meal to return the favour. Meanwhile, Maggie is going out of her way to show she isn't racist, whilst on a date with a black actor. First comes success, then the backlash and the British press aren't about to change the rules. Andy has incurred their wrath and searches for ways to lift his profile. 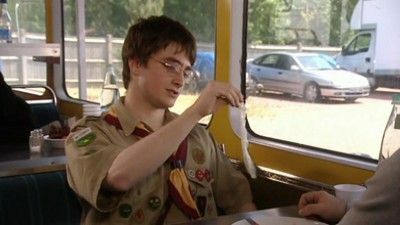 Meanwhile, on the set of his new film, Daniel Radcliffe is trying his staggeringly poor chat-up lines on anyone female. Andy and Maggie are playing extras in the film Ben Stiller is directing, which is based on the life of Goran, an Eastern European man whose wife and son were killed in the Balkans War. 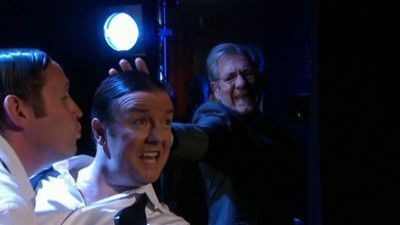 Andy attempts to get a speaking part by befriending Goran, who eventually gets Andy a spoken line. However, Andy gets in an argument with Stiller just before shooting his scene and is kicked off the set. Maggie, meanwhile, takes an interest in one of the crew but it goes wrong after Andy points out that her would-be beau has one leg shorter than the other. Andy gets a break when he lands the part of the Genie in Aladdin alongside, Les Dennis. Andy soon finds himself in a dilemma when he sees Les' young fiancé in a compromising position with a stage hand. 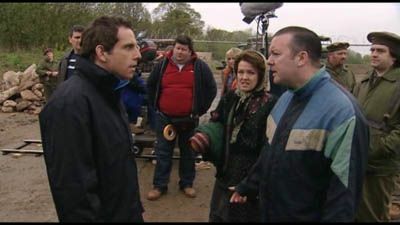 Andy decides to tell (a naked) Les what he has seen. While searching for credibility Andy gets a part in a play directed by Sir Ian McKellen. He soon discovers the play 'A Month of Summers', is the tale of love between two men and becomes uncomfortable with the part. Andy finds himself in a personally difficult situation when some old school friends come to see his performance. Andy is working on a television period drama starring Ross Kemp. 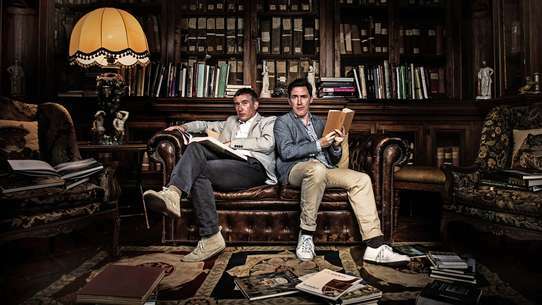 Andy's rival, Greg, is working on a film with Kemp's rival, footballer Vinnie Jones, in the adjacent studio building. Kemp claims he has had SAS training and tells Andy that he is more of a "hard man" than Jones. Millman then relays this information to Greg, his rival, who himself tells Jones. Angered by this, Jones later confronts Kemp, who denies having said anything, and cowers at Jones's threats. After this embarrassment, Kemp admits to a disillusioned Andy that none of his prior claims were true and that wherever he works, he's bullied, contradicting his reputation as a hard man. 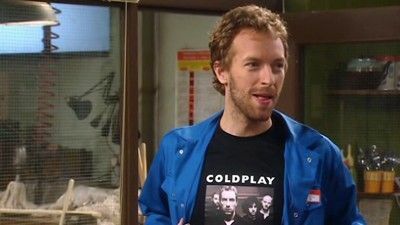 Chris Martin, lead singer of Coldplay, suggests he can appear and sing in Andy's sitcom, much to Andy's reluctance. 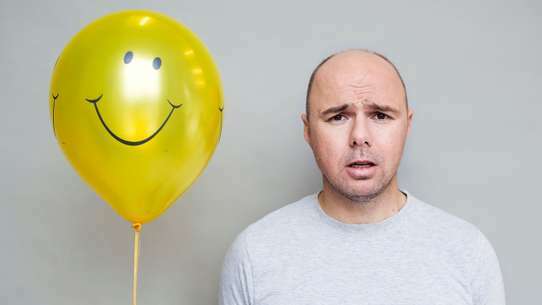 Bad reviews continue to flood in, but things start to look up when Andy gets a surprise nomination for a BAFTA award for Best Comedy Performance. At the ceremony Andy is caught in the wrong place at the wrong time with Ronnie Corbett. Maggie tells Andy's former girlfriend an embarrassing secret which she uses to get her own back at Andy for calling her, "the most boring woman in the world".